** Click on titles for PDFs. 73. Brownscombe JW, Griffin LP, Chapman JM, Morley D, Acosta A, Crossin GT, Iverson SJ, Adams AJ, Cooke SJ, Danylchuk AJ (2019) A practical method to account for variations in detection range in acoustic telemetry arrays to accurately quantify animal spatial ecology. 72. Bordeleau X, Pardo SA, Chaput G, April J, Dempson B, Robertson M, Levy A, Jones R, Hutchings JA, Whoriskey FG, Crossin GT (2019) Spatio-temporal trends in the importance of iteroparity across Atlantic salmon populations of the northwest Atlantic. ICES Journal of Marine Science. 71. Studholme KR, Hipfner JM, Iverson SJ, Domalik AD, Crossin GT (2019) Year-round tracking reveals multiple migratory tactics in a sentinel North Pacific seabird, the Cassin’s auklet. Marine Ecology Progress Series 000:000-000. 70. Steenweg RJ, Legagneux P, Crossin GT, Gilchrist HG, Kyser TK, Love OP (2019) Migratory Arctic-breeding common eiders exhibit flexible pairing strategies. Journal of Ornithology 000:000-000. 69. 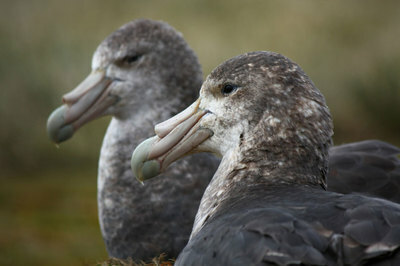 Clay TA, Small C, Tuck GN, Pardo D, Carneiro APB, Wood AG, Croxall JP, Crossin GT, Phillips RA (2019) A comprehensive assessment of fisheries bycatch risk to threatened seabird populations. Journal of Applied Ecology 000:000-000. 68. McLean MF, Litvak MK, Cooke SJ, Hanson KC, Patterson DA, Hinch SG, Crossin GT (2019) Immediate physiological and behavioural response from catch-and-release of wild white sturgeon (Acipenser transmontanus Richardson, 1836). Fisheries Research 214:65-75. 67. Domalik AD, Hipfner JM, Studholme KR, Crossin GT, Green DJ (2018) At-sea distribution and fine-scale habitat use patterns of zooplanktivorous Cassin’s auklets during the chick-rearing period. Marine Biology 165:177-191. 66. Bordeleau X, Davidsen JG, Eldøy SH, Sjursen AD, Whoriskey FG, Crossin GT (2018) Nutritional correlates of spatio-temporal variations in the marine habitat use of brown trout, Salmo trutta, veteran migrants. Canadian Journal of Fisheries and Aquatic Sciences 75:1744-1754. 65. Strople LC, Filgueira R, Hatcher BG, Denney S, Bordeleau X, Whoriskey FG, Crossin GT (2018) The effect of environmental conditions on Atlantic salmon smolts' (Salmo salar) bioenergetic requirements and migration through and inland sea. Environmental Biology of Fishes 101:1467-1482. 64. Studholme KR, Hipfner JM, Romero LM, Gormally BM, Iverson SJ, Crossin GT (2018) Egg size is independent of variation in pre-breeding corticosterone in Cassin's auklets during favourable oceanographic conditions. General and Comparative Endocrinology 268:64-70. 63. Bordeleau X, Hatcher BG, Denny S, Fast MD, Whoriskey FG, Patterson DA, Crossin GT (2018) Consequences of captive breeding: fitness implications for wild-origin, hatchery-spawned Atlantic salmon kelts upon their return to the wild. Biological Conservation 225:144-153. 62. Crossin GT, Devlin RH (2017) Predation, metabolic priming, and early life-history rearing environment affect the swimming capabilities of growth-hormone transgenic rainbow trout. Biology Letters 13: dx.doi.org/10.1098/rsbl.2017.0279. 61. Steenweg RJ, Crossin GT, Kyser TK, Merkel FR, Gilchrist HG, Hennin HL, Robertson GJ, Provencher JF, Mills-Flemming J, Love OP (2017) Stable isotopes can be used to infer the overwintering locations of pre-breeding marine birds in the Canadian Arctic. Ecology & Evolution 7: DOI: 10.1002/ece3.3410. 59. Dehnhard N, Jaspers VLB, Demongin L, Van den Steen E, Covaci A, Pinxten R, Crossin GT, Quillfeldt N, Eens M, Poisbleau M (2017) Organohalogenated contaminants in plasma and eggs of rockhopper penguins: does vitellogenin affect maternal transfer? Environmental Pollution 226:277-287. 58. Crossin GT, Heupel MR, Holbrook CM, Hussey NE, Lowerre-Barbieri SK, Nguyen VM, Raby GD, Cooke SJ (2017) Acoustic telemetry in fisheries management. Ecological Applications 27:1031-1049. 57. Auger-Méthé M, Albertsen CM, Jonsen ID, Derocher AE, Lidgard D, Studholme KR, Bowen W, Crossin GT, Mills Flemming J (2017) Spatiotemporal modeling of animal behaviour using Template Model Builder: from seabirds to polar bears. Marine Ecology Progress Series 565:237-249. 56. Crossin GT, Phillips RA, Lattin CR, Romero LM, Bordeleau X, Harris CM, Love OP, Williams TD (2017) Physiological costs of reproduction and carryover effects in annually versus biennially breeding albatrosses (Thalassarche spp.). Antarctic Science 29:155-164. 52. Crossin GT, Love OP, Cooke SJ, Williams TD (2016) Glucocorticoid manipulations in free-living animals: considerations of dose delivery, life-history context, and reproductive state. Functional Ecology 30:116-125. 51. Crossin GT, Takahashi A, Sakamoto KQ, Trathan PN, Williams TD (2015) Habitat selection by foraging macaroni penguins correlates with hematocrit, an index of aerobic condition. Marine Ecology Progress Series 530:163-176. 50. Steenweg R, Hennin HL, Bêty J, Gilchrist HG, Williams TD, Crossin GT, Love OP (2015) Sources of diel variation in energetic physiology in an Arctic-breeding, diving seaduck. General & Comparative Endocrinology 216:39-45. 48. Lennox RJ, Whoriskey K, Crossin GT, Cooke SJ (2015) Influence of angler hook-set behaviour relative to hook type on capture success and incidences of deep hooking in a teleost fish. Fisheries Research 164:201-205. 46. Crossin GT, Cooke SJ, Goldbogen JA, Phillips RA (2014) Tracking fitness in marine vertebrates: current knowledge and opportunities for future research. Marine Ecology Progress Series 496:1-17. 45. Trathan PN, García-Borboroglu P, Boersma PD, Bost CA, Crawford RJM, Crossin GT, Cuthbert RJ, Dann P, Davis LS, De la Puente S, Lynch HJ, Mattern T, Pütz K, Seddon PJ, Trivelpiece W, Wienecke B (2014) In a changing climate, pollution, habitat loss and fishing remain the top threats to the world’s penguins. Conservation Biology 29:31-41. 44. Jaspers VLB, Eens M, Demongin L, Van den Steen E, Dirtu A, Covaci A, Pinxten R, Quillfeldt P, Crossin GT, Chastel O, Poisbleau M (2014) How do vitellogenin and androgen hormone levels vary during egg laying in relation to OHCs in rockhopper penguins? Organohalogen Compounds 76:942-945. 43. O’Connor CM, Norris NR, Crossin GT, Cooke SJ (2014) Biological carryover effects: linking common concepts and mechanisms in ecology and evolution. Ecosphere 5:1-11. 42. Cook KV, Crossin GT, Patterson DA, Hinch SG, Gilmour KMG, Cooke SJ (2014) Stress response predicts migratory failure but not migratory rate in a semelparous fish. General & Comparative Endocrinology 202:44-49. 41. Crossin GT, Phillips RA, Lattin CR, Romero LM, Williams TD (2013) Corticosterone mediated costs of reproduction link current to future breeding. General & Comparative Endocrinology 193:112-120. 40. Crossin GT, Trathan PN, Crawford RJM (2013) The Macaroni Penguin (Eudyptes chrysolophus) and the Royal Penguin (E. schlegeli). In: Penguins: Natural History and Conservation (P Garcia-Borboroglu and PD Boersma, Eds. ), pp. 185-208. University of Washington Press, Seattle. 39. Crossin GT, Phillips RA, Wynne-Edwards KA, Williams TD (2013) Post-migratory body condition and ovarian steroid production predict breeding decisions by female gray-headed albatrosses. Physiological & Biochemical Zoology 86:761-768. 38. Crossin GT, Poisbleau M, Demongin L, Chastel O, Williams TD, Eens M, Quillfeldt P (2012) Migratory constraints on yolk precursor production limit egg androgen deposition and underlies a brood reduction strategy in rockhopper penguins. Biology Letters 8:1055-1058. 37. Cooke SJ, Hinch SG, Donaldson MR, Clark TD, Eliason EJ, Crossin GT, Raby GD, Jeffries KM, Lapointe MJ, Miller K, Patterson DA, Farrell AP (2012) Conservation physiology in practice: How physiological knowledge has improved our ability to sustainably manage Pacific salmon during up-river migration. Philosophical Transactions of the Royal Society of London B 367:1757-1769. 36. 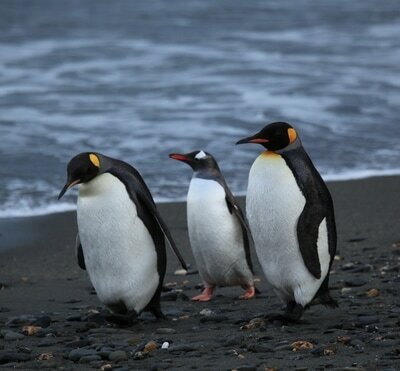 Crossin GT, Trathan PN, Phillips RA, Gorman KB, Dawson A, Sakamoto KQ, Williams TD (2012) Corticosterone predicts foraging behaviour and parental care in macaroni penguins. American Naturalist 180:E31-41. 35. Crossin GT, Phillips RA, Trathan PN, Fox DS, Dawson A, Wynne-Edwards KE, Williams TD (2012) Migratory carryover effects and endocrinological correlates of reproductive decisions and reproductive success in female albatrosses. General & Comparative Endocrinology 176:151-157. 34. Crossin GT, Dawson A, Phillips RA, Trathan PN, Gorman KB, Adlard S, Williams TD (2012) Seasonal patterns of prolactin and corticosterone secretion in an Antarctic seabird that moults during reproduction. General & Comparative Endocrinology 175:74-81. 33. Crossin GT, Trathan PN, Williams TD (2012) Potential mode of clutch size determination and follicle development in Eudyptes penguins. Polar Biology 35:313-317. 32. Cooke SJ, Crossin GT, Hinch SG (2011) Pacific Salmon Migration- Completing the Cycle. Invited contribution to: The Encyclopedia of Fish Physiology: From Genome to Environment (AP Farrell, Ed. ), vol. 3, pp. 1945-1952, Academic Press, San Diego. 31. Payne J, Andrews K, Chittenden C, Crossin G, Goetz F, Hinch S, Levin P, Lindley S, Melnychuk M, Nelson T, Rechisky E, Welch D (2010) Tracking fish movements and survival on the Northeast Pacific Shelf. In: Life in the World's Oceans: Diversity, Distribution and Abundance (AD McIntyre, Ed. ), pp. 267-290. Wiley-Blackwell, Oxford. 30. 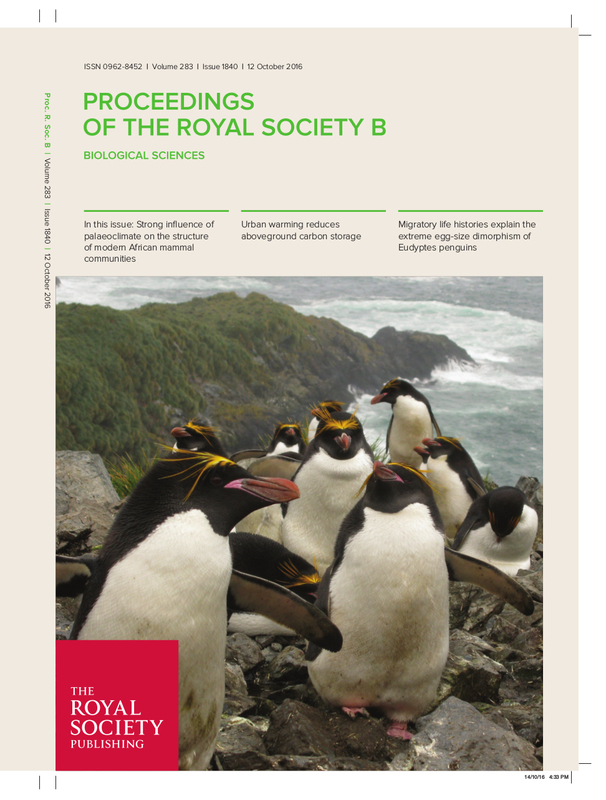 Crossin GT, Trathan PN, Phillips RA, Dawson A, Le Bouard F, Williams TD (2010) A carry-over effect of migration underlies individual variation in reproductive readiness and extreme egg size dimorphism in macaroni penguins (Eudyptes chrysolophus). American Naturalist 176:357-366. ** Profiled in the New York Times (19 July 10). 29. Crossin GT, Hinch SG, Cooke SJ, Patterson DA, Lotto AG, Van Der Kraak G, Zohar Y, Klenke U and Farrell AP (2010) Testing the synergistic effect of GnRHa and testosterone on the reproductive physiology of pre-adult pink salmon. Journal of Fish Biology 76:112-128. 28. Cooperman MS, Hinch SG, Crossin GT, Cooke SJ, Patterson DA, Olsson I, Lotto AG, Welch DW, Shrimpton JM, Van Der Kraak G, Farrell AP (2010) Effects of experimental manipulations of salinity and maturation status on the physiological condition and mortality of homing adult sockeye salmon held in a laboratory. Physiological & Biochemical Zoology 83:459-472. 27. Mathes MT, Hinch SG, Cooke SJ, Crossin GT, Patterson DA, Lotto AG, Farrell AP (2010) Effect of water temperature, timing, physiological condition, and lake thermal refugia on migrating, adult Weaver Creek sockeye salmon (Oncorhynchus nerka). Canadian Journal of Fisheries & Aquatic Sciences 67:70-84. 26. Edwards EWJ, Forcada J, Crossin GT (2009) First documentation of leopard seal predation on South Georgia pintail duck. Polar Biology 33:403-405. 25. Cooke SJ, Donaldson MR, Hinch SG, Crossin GT, Patterson DA, Hanson KC, English KK, Shrimpton JM, Farrell AP (2009) Is fishing selective for physiological and energetic characteristics in migratory adult sockeye salmon? Evolutionary Applications 2:299-311. 24. Crossin GT, Hinch SG, Cooke SJ, Cooperman MS, Patterson DA, Welch DW, Hanson KC, Olsson I, English KK, Farrell AP (2009) Mechanisms influencing the timing and success of reproductive migration in a capital-breeding, semelparous fish species: the sockeye salmon. Physiological & Biochemical Zoology 82:635-652. 23. Donaldson MR, Cooke SJ, Patterson DA, Hinch SG, Robichaud D, Hanson KC, Olsson I, Crossin GT,English KK, Farrell AP (2009) Limited behavioural thermoregulation by adult up-river migrating sockeye salmon (Oncorhynchus nerka) in the lower Fraser River, British Columbia. Canadian Journal of Zoology 87:480-490. 22. Crossin GT, Hinch SG, Welch DW, Cooke SJ, Patterson DA, Klenke U, Zohar Y, Jacobs MC, Pon LB, Winchell PM, Farrell AP (2009) Physiological profiles of sockeye salmon in the Northeast Pacific Ocean and the effects of exogenous GnRH and testosterone on rates of homeward migration. Marine and Freshwater Behaviour and Physiology 42:89-108. 21. Cooperman MS, Hinch SG, Farrell AP, Cooke SJ, Crossin GT, Patterson DA (2009) High mortality of migrating Fraser River salmon: physiological, oceanographic, & temperature causes of a conservation crisis. 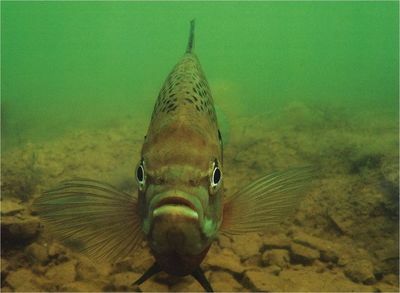 In: Challenges for Diadromous Fishes in a Dynamic Global Environment (AJ Haro et al., Eds.). American Fisheries Society, Symposium 69, Bethesda, Maryland Challenges for Diadromous Fishes in a Dynamic Global Environment - 2nd International Symposium on Diadromous Fishes. Halifax, Nova Scotia, June 2007. 20. Hinch SG, Farrell AP, Cooke SJ, Patterson DA, Lapointe MF, Welch DW, English KK, Crossin GT,Miller K, Thomson RE, Van Der Kraak G, Olssen I, Shrimpton JM, Cooperman MS (2009) Using physiological telemetry and intervention experiments to examine the maladaptive shift in Fraser River's Late-Run Sockeye Salmon spawning migration. American Fisheries Society Symposium 69:891-894. 19. Cooke SJ, Hinch SG, Farrell AP, Patterson DA, Miller-Saunders K, Welch DW, Donaldson M, Hanson KC, Crossin GT, Mathes MT, Lotto AG, Hruska K, Olsson I, Wagner GN, Thomson R, Hourston R, English KK, Larsson S, Shrimpton JM, Van Der Kraak G (2008) Developing a mechanistic understanding of fish migrations by linking telemetry with physiology, behaviour, genomics, and experimental biology: an interdisciplinary case study on the adult Fraser River sockeye salmon. Fisheries 33:321-339. 18. Farrell AP, Hinch SG, Cooke SJ, Patterson DA, Crossin GT, Lapointe M, Mathes MT (2008) Pacific salmon in hot water: applying aerobic scope models and biotelemetry to predict the success of spawning migrations. Physiological & Biochemical Zoology 81:697-709. 17. Crossin GT, Hinch SG, Cooke SJ, Welch DW, Lotto AG, Patterson DA, Jones SRM, Leggatt RA, Mathes MT, Shrimpton JM, Van Der Kraak G, Farrell AP (2008) Exposure to high temperature influences the behaviour, physiology, and survival of sockeye salmon during spawning migration. Canadian Journal of Zoology 86:127-140. 16. Cooke SJ, Hinch SG, Crossin GT, Patterson DA, English KK, Healey MC, MacDonald JS, Shrimpton JM, Young JL, Lister A, Van Der Kraak G, Farrell AP (2008) Physiological correlates of coastal arrival and river entry timing in Late summer Fraser River sockeye salmon (Oncorhynchus nerka). Behavioural Ecology 19:747-758. 15. Hanson KC, Cooke SJ, Hinch SG, Crossin GT, Patterson DA, English KK, Donaldson MR, Shrimpton JM, Van Der Kraak G, Farrell AP (2008) Individual variation in migration speed of upriver migrating sockeye salmon in the Fraser River in relation to their physiological and energetic status at marine approach. Physiological & Biochemical Zoology 81:255-268. 14. Crossin GT, Hinch SG, Cooke SJ, Welch DW, Batten SD, Patterson DA, Van Der Kraak G, Shrimpton JM, Farrell AP (2007) Behaviour and physiology of sockeye salmon homing through coastal waters to a natal river. Marine Biology 152:905-918. 13. Cooke SJ, Hinch SG, Crossin GT, Patterson DA, English KK, Healey MC, Macdonald JS, Shrimpton JM, Van Der Kraak G, Farrell AP (2006) Mechanistic basis of individual mortality in Pacific salmon during spawning migrations. Ecology 87:1575-1586. 12. Cooke SJ, Hinch SG, Crossin GT, Patterson DA, English KK, Shrimpton JM, Van Der Kraak G, Farrell AP (2006) Physiology of individual late-run Fraser River sockeye salmon (Oncorhynchus nerka) sampled in the ocean correlates with fate during spawning migration. Canadian Journal of Fisheries & Aquatic Sciences 63:1469-1480. 11. Young JL, Cooke SJ, Hinch SG, Crossin GT, Patterson DA, Farrell AP, Van Der Kraak G, Lotto AG, Lister A, Healey MC, English KK (2006) Physiological and energetic correlates of en route mortality for abnormally early migrating adult sockeye salmon in the Thompson River, British Columbia. Canadian Journal of Fisheries & Aquatic Sciences 63:1067-1077. 10. Cooke SJ, Crossin GT, Patterson DA, English KK, Hinch SG, Young JL, Alexander RF, Healey MC, Van Der Kraak G, Farrell AP (2005) Coupling non-invasive physiological assessments with telemetry to understand inter-individual variation in behaviour and survivorship of sockeye salmon: development and validation of a technique. Journal of Fish Biology 67:1342-1358. 9. Crossin GT, Hinch SG (2005) A non-lethal method for assessing the somatic energy content of adult pacific salmon. Transactions of the American Fisheries Society 134:184-191. 8. Crossin GT, Hinch SG, Farrell AP, Higgs DG, Lotto AG, Oakes JD, Healey MC (2004) Energetics and morphology of sockeye salmon: effects of upriver migratory distance and elevation. Journal of Fish Biology 65:788-810. 7. Crossin GT, Hinch SG, Farrell AP, Higgs DG, Healey MC (2004) Somatic energy of sockeye salmon at the onset of upriver migrations: a comparison among ocean climate regimes. Fisheries Oceanography 12:345.349. 6. Crossin GT, Hinch SG, Farrell AP, Whelley M, Healey MC (2003) Pink salmon migratory energetics: response to migratory difficulty and comparisons with sockeye salmon. Canadian Journal of Zoology 81:1986-1995. 5. Benitez-Nelson CR, Buesseler KO, Rutgers van der Loeff MM, Andrews JE, Crossin GT, Ball L, Charette MA (2001) Testing a new small-volume technique for determining thorium-234 in seawater. Journal of Radioanalytical and Nuclear Chemistry 248:795-799. 4. Buesseler KO, Benitez-Nelson CR, Rutgers van der Loeff MM, Andrews JE, Ball L, Crossin GT,Charette MA (2001) An intercomparison of small- and large-volume techniques for thorium-234 in seawater. Marine Chemistry 74:15-28. 3. Cochran JK, Buesseler KO, Bacon MP, Wang HW, Hirschberg DJ, Ball L, Andrews JE, Crossin GT, Fleer AP (2000) Short-lived thorium isotopes (234Th, 228Th) as indicators of POC export and particle cycling in the Ross Sea, Southern Ocean. Marine Chemistry 47:3451-3590. 2. Benitez-Nelson, CR, Buesseler KO, Crossin GT (2000) Carbon export, eddy diffusivity and horizontal transport in the southwestern Gulf of Maine. Continental Shelf Research 20:707-736. 1. Crossin GT, Al-Ayoub SA, Jury SH, Howell WH, Watson WH (1998) Behavioural thermoregulation in the American lobster, Homanrus americanus. Journal of Experimental Biology 201:365-374.